Congress leader Renuka Chowdhury said that casting couch culture existed in the Parliament too and there have been occasions when her dignity has been lowered. “It’s not just in the film industry. It happens everywhere and is the bitter truth. Don’t imagine that Parliament or other workplaces are immune to it,” Chowdhury said, adding that it was the bitter truth. Chowdhury, however, equated casting couch to sexual harassment at the workplace and dragged Prime Minister Narendra Modi into the controversy. “When the PM makes a derogatory statement against me in Parliament, he is taking away my dignity as a woman,” she said. “When the PM insults women in parliament, when Kiren Rijiju uploads objectionable videos, it’s derogatory towards me,” she added. 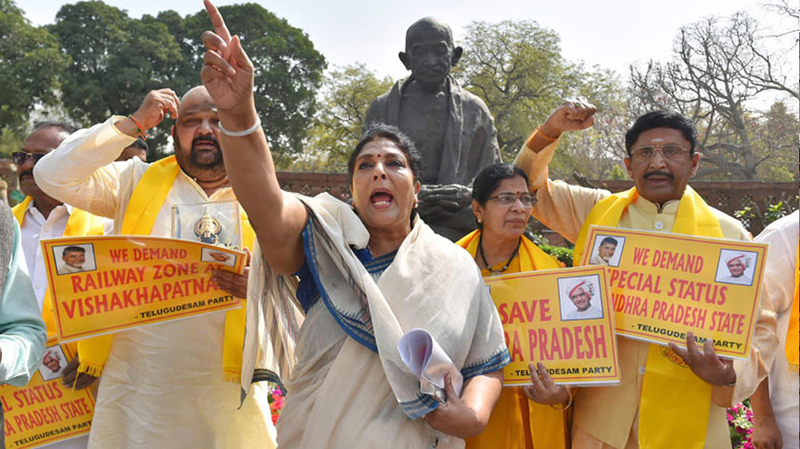 The Congress leader was referring to the Modi’s comment about her laughter in Rajya Sabha around two months ago, saying that it reminded her of a certain character from Ramayana. The statement met thunderous applause from BJP MPs, including Amit Shah. That certain character was the sister of Ravana, Soorpanakha, Rijiju and BJP IT cell had later said on Twitter. Naidu had once earlier asked Chowdhury to lose weight and make efforts to increase the weight of her party. Chowdhury further called for India to “stand up” and put the onus of actions on men. “It’s not the time to say Me too but to say You too,” she said, referring to the global movement where women have come out against sexual predators.